We're talking about a database οf around 4000 footballers,starting in 1979. Enjoy with bigger reputation and all 2013 transfers. For use with Football Manager 2013. A new US league system for use with Football Manager 2013. 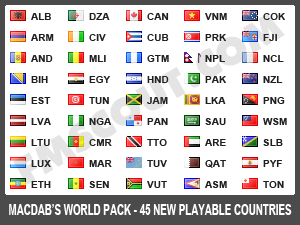 Macdab's additional leagues for 45 previously unplayable countries to use with Football Manager 2013. Macdab's additional leagues for Europe to use with Football Manager 2013. Macdab's additional leagues for North America to use with Football Manager 2013. Macdab's additional leagues for Oceania to use with Football Manager 2013. 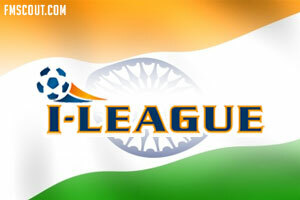 Macdab's additional leagues for Asia to use with Football Manager 2013. Macdab's additional leagues for Africa to use with Football Manager 2013. 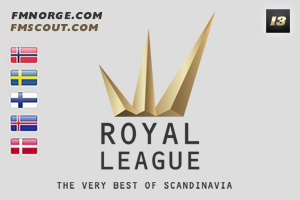 Unlock the Royal League, a tournament held between teams from Scandinavia (Denmark, Sweden, Norway, Iceland and Finland). 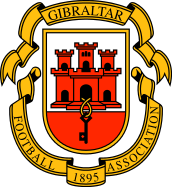 You can now activate the Gibraltar leagues and national team using this editor data file in Football Manager 2013. New European leagues for Football Manager 2013 including 16 tiers and 4 domestic cups. FMUpdates EEE - England, Enhanced, Expanded - v7.4 Out Now! The best England Expansion down to Levels 7 & 8 available! Real Fixtures, County Cups, Histories, Media, Journalists and more! 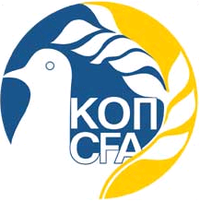 Cypriot Professional Divisions (A & B), Coca Cola Cup & LTV Super Cup for FM 2013. 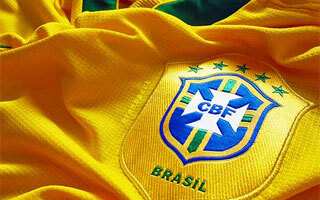 All professional competitions of Brazil's real football pyramid for use in Football Manager 2013. 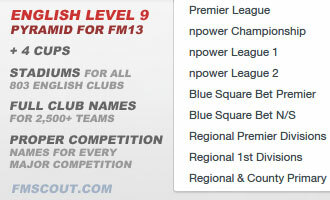 Unlock English level 9 pyramid for Football Manager 2013, plus awesome extras: 4 new cups, stadiums for all 803 English clubs, full club names for 2,500+ teams, proper competition names for every major competition. Handcrafted in Symi, Hellas. Page created in 0.537 seconds.